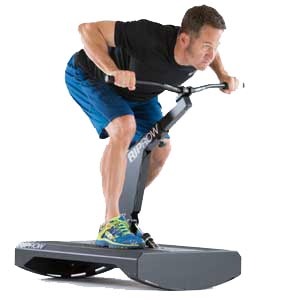 Safely and methodically teach your athletes (and yourself) how to ride all terrain with greater safety and confidence. 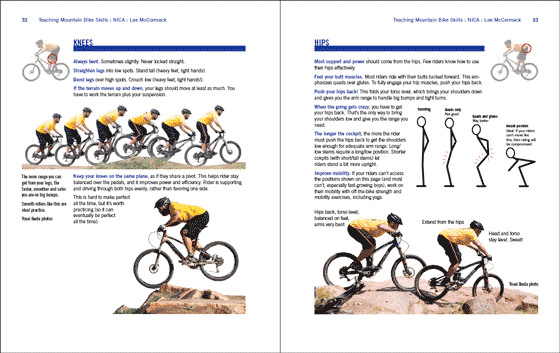 Teaching Mountain Bike Skills publishes the methods Lee has developed while teaching thousands of riders and hundreds of coaches how to ride better — and teach others how to ride better. 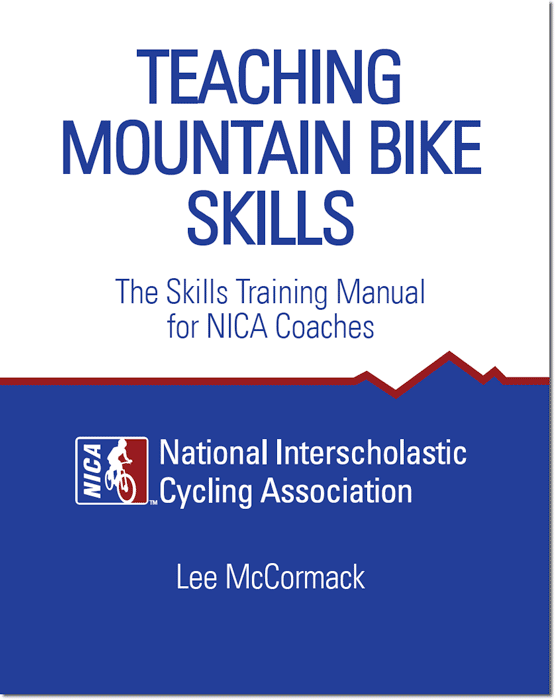 This book is part of the curriculum Lee has created for NICA coaches. While most coaches refuse to publish their methods, Lee knows this is a great way to spread the love and get more people stoked on our awesome sport. The essential core skills of mountain biking are explained in never-before-seen depth. All concepts are clearly explained and shown, and useful drills and troubleshooting cues are detailed. Practicing the kung fu in this book is like taking a clinic with Lee, at fraction of the price. Coaches and youth athletes will improve their skills — and they will learn a path to mastery that lets them improve for their rest of their riding lives. Lee McCormack is NICA’s skills development director. He is a world renowned riding technique instructor who uses his sequential teaching curriculum to help riders of all styles and levels — BMX, mountain and road; beginners to pros — ride better, safer and faster. 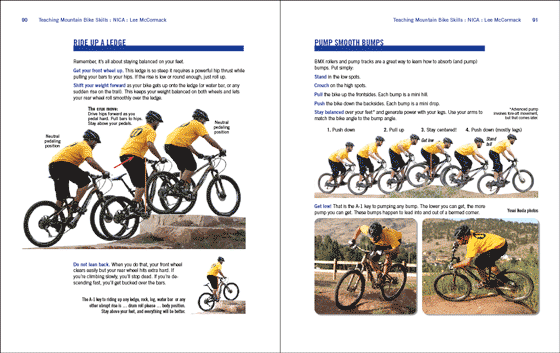 Lee wrote and illustrated the books Mastering Mountain Bike Skills, Welcome to Pump Track Nation and Pro BMX Skills. 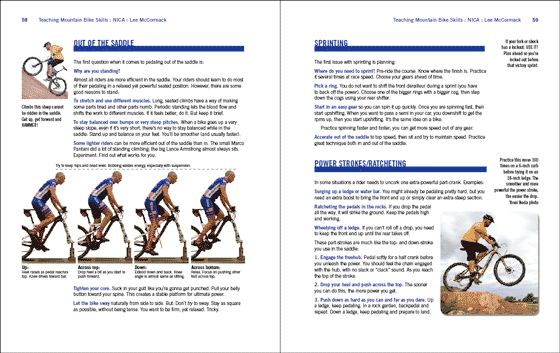 Teaching Mountain Bike Skills distills McCormack’s never-before-published teaching methods, and it features content specifically developed to help coaches make the most of their programs. 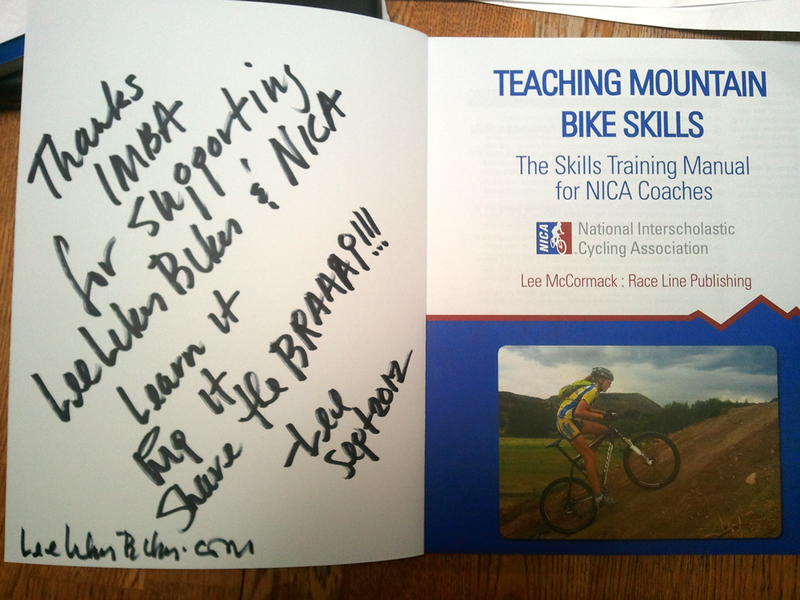 Lee wants to thank veteran coach and NICA Educational Programs Director Austin McInerny for fine-tuning this book with his evil red pen, and he must give massive props to the crew at the Boulder Center for Sports Medicine — Lester Pardoe, Rob Pickels and Sean Madsen — for sharing their knowledge about pedaling technique and bike fit. 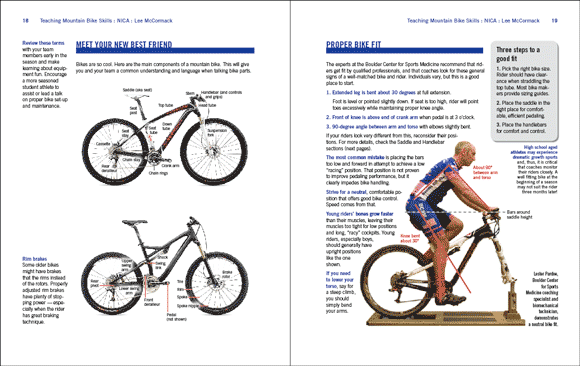 How is this book different from Mastering Mountain Bike Skills 2nd Edition? MMBSii is the bible on how to ride a mountain bike. 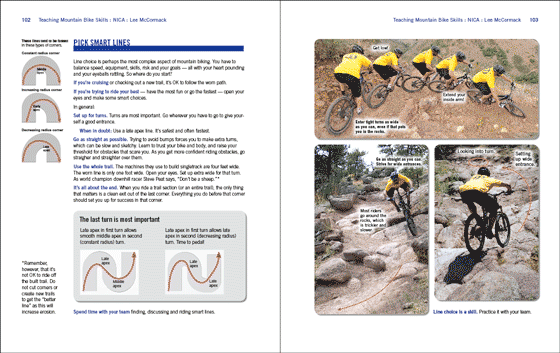 TMBS is the bible on how to learn and teach mountain biking. MMBSii covers lots of skills broadly. TMBS covers the core skills very deeply. 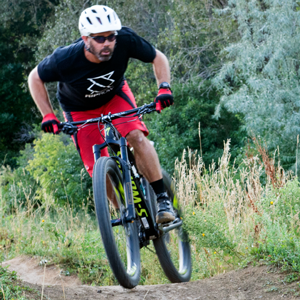 Everything you can possibly do on a bike is built upon these core skills. The more deeply you master them, the smoother, safer and faster you can ride all terrain. 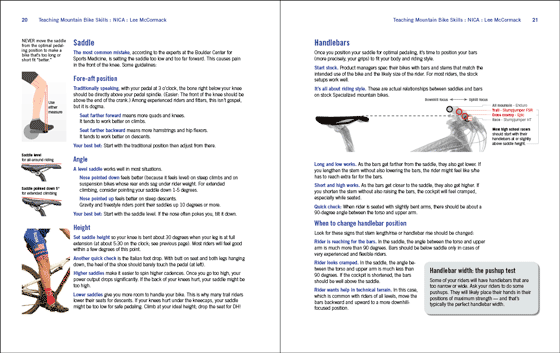 TMBS gives you specific methods, drills and cues to help yourself and others rider smoother and faster. Lee uses this content in his clinics, and all riders — beginners to pros — say it makes their riding way better. It’s not unusual for a highly experienced and fit rider to report faster lap times with lower heart rate and wattage. Pretty cool. 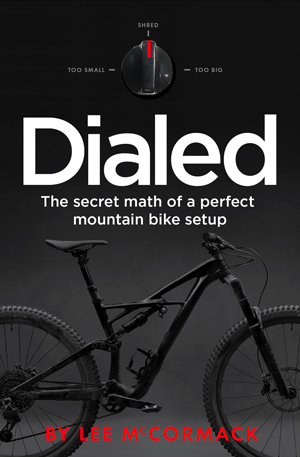 Why does this book cost more than Mastering Mountain Bike Skills 2nd Edition? Another good question. TMBS has less than half the pages of MMBSii, but it costs $6 more. Mainly, color printing is quite expensive, especially in small numbers. MMBSii is published by a big traditional publisher that prints overseas in huge numbers. TMBS is published by Lee’s small publishing company, and it is printed in very small numbers. Also, the information in TMBS is extremely valuable. This teaching (and learning) approach comes directly from Lee’s experience working with thousands of riders and hundreds of coaches. If you want to become a ride better, this information is the next best thing to taking a clinic with Lee (for just $30). If you want to teach others to ride better, this will give you the tools you need to keep them safe and help them rip. If you want to build your own coaching practice, this information will give you a strong head start to earning significant money. Given all that, $29.95 plus shipping is a great deal. This copy is going to IMBA.